Jack Kelly, Snr., starts to ‘push the hell’ out of his young son, ‘Kell’. Kell’s sister, Grace, later said of her brother, ‘He lived the first part of his life thinking he was Dad, and the second part of his life trying to be like James Bond’. Tim Koch wonders if it is ‘din-isty’ or ‘dine-isty’? In 1776, Britain’s 13 American colonies held that living under the rule of King George III was not for them and decided that, instead of relying on accidents of birth to produce a suitable ruler, the people would periodically elect a head of state from amongst their number, thus ensuring that such a person would always have virtues such as intelligence, integrity, and empathy, all of which are needed for such a role. While this may not have always gone according to plan, nearly 250 years on, the United States has grown attached to the Office of President and will probably not be abolishing it anytime soon. However, it is a paradox that America, the great meritocracy, seems to miss the heredity system that put George, his predecessors and his descendants into power. The U.S. has produced – and continues to produce – its own dynasties, successions of people from the same family who play a prominent role in fields such as business, politics and entertainment. 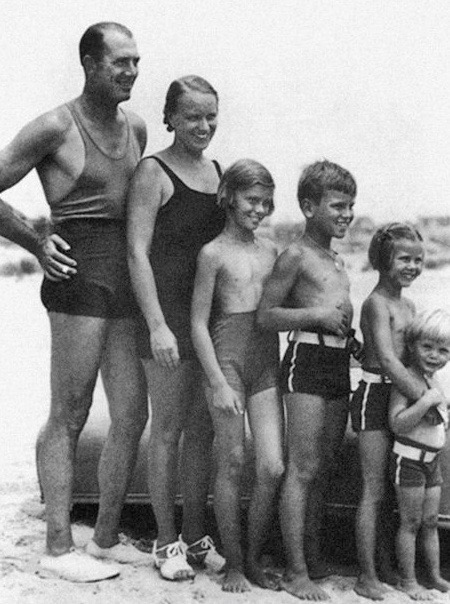 The Kelly Family in 1935. 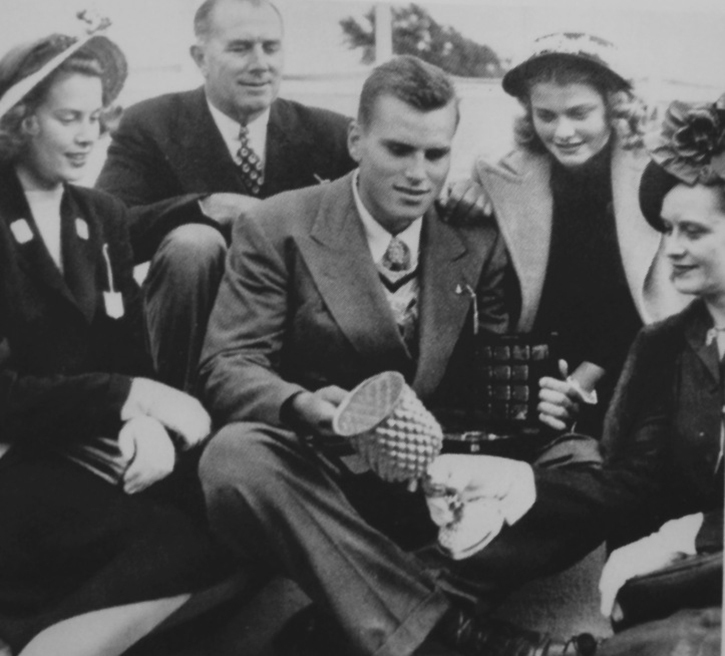 Jack, Snr., with wife Margaret and children Peggy, Jack, Jnr., (Kell), Grace and Lizzie. One such family are the Kellys of Philadelphia. As their influence lasted perhaps no more than three generations, perhaps they only just qualify as ‘a dynasty’. However, it is the breadth of their achievements that are so fascinating: they made their mark in the worlds of business, politics, sport, movies and in the genuine dynasty of the House of Grimaldi, hereditary rulers of the Principality of Monaco. 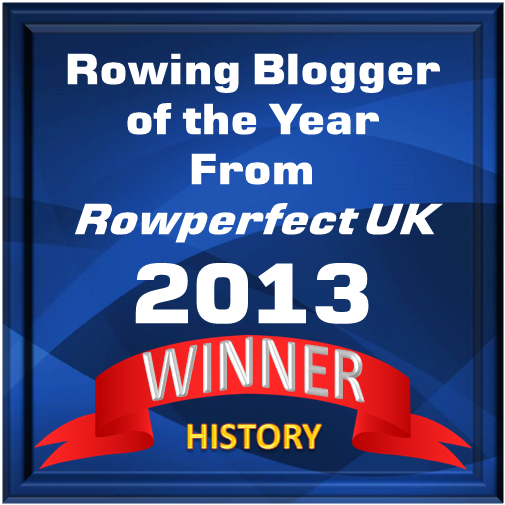 Henley 1947: Kell avenges his father by winning the Diamond Sculls. It was not just luck that enabled Kell to twice win the Henley prize probably unjustly denied to his father. Jack made it his mission to mould Kell into a rower. Kell did not share his father’s natural talent but he was a good athlete and he later said, ‘My old man pushed the hell out of me’. I have just discovered some evidence of this on YouTube. A three-minute extract from a French-language documentary contains what must be Kelly family home movies showing Jack, Snr., and a young Kell sculling on Philadelphia’s Schuylkill River. The boy is in a little sculling boat that his father must have had made for him. Later in the film, sister Peggy is confidently backing down the boat. After that, a grown-up Kell is shown proudly displaying his physique. It’s a great insight into an intriguing American family. 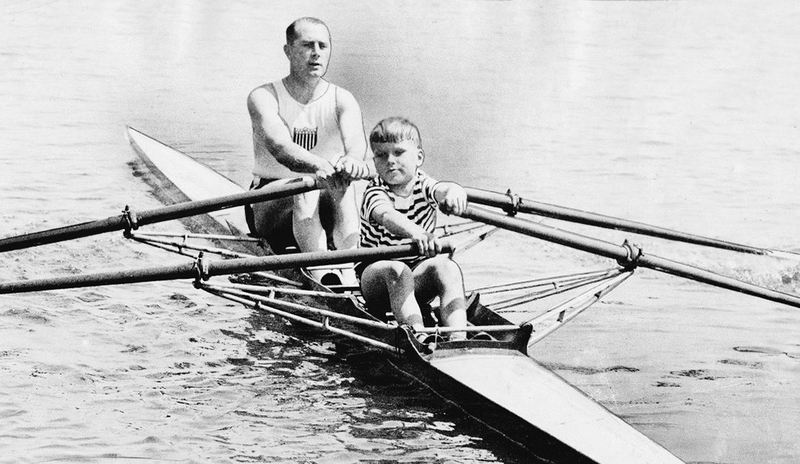 Editor’s note: Anyone interested in Jack Snr’s and Kell’s rowing lives should look for Dan Boyne’s brilliant book Kelly: A Father, A Son, An American Quest.